Great news! 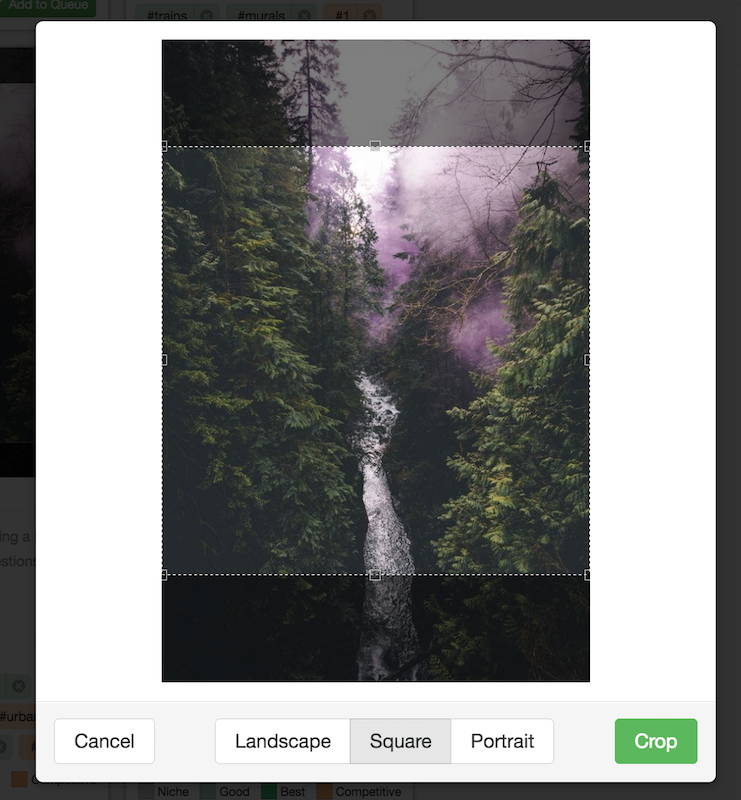 Cropping for Instagram is ready on Tailwind! You must have an Instagram Business account and have Auto Posting enabled to use cropping with Tailwind. Get Started With Auto Post Now! When using the Auto Post method, if you upload an image to Tailwind that is outside the acceptable aspect ratios that Instagram allows (4:5, 1.91:1), it will automatically be cropped to the closest allowable aspect ratio. You can see a preview of how your image will look on the drafts page. If you would like to adjust the image, click the cropping icon on the top left of the image. Select your cropping shape and adjust the area. Click crop to save your changes. You can move and resize the cropping area by dragging the dotted line around. You will be able to see the updated preview in your drafts page. The cropped out areas of your image are not discarded until the image is Posted, so you can crop again as many times as you like before Posting! If you don't want to use Tailwind's cropping feature, or you want to crop the image inside the Instagram app itself, switch the post to SMS Notification or iOS Notification. Cropping with Tailwind is available for the Auto Post method only.